Apparently I missed the weekly installation last week, sometimes time just flies by. In any case, dissertation weekly is back! Hopefully there will be a second one later in the week, to make up for last week. I wanted to focus on pottery this week. Eleven of the sherds (46%) can be classified as some version of Chocolate-on-White ware (CW) and another six sherds have paint on them but do not fit the classification requirements for CW (Fischer 1999). This sentence is part of the discussion on the Middle Bronze pottery found at Safut. Based on parallels I was able to determine that the Middle Bronze occupation at the site should date to the MBIIC period or around 1550 BCE. 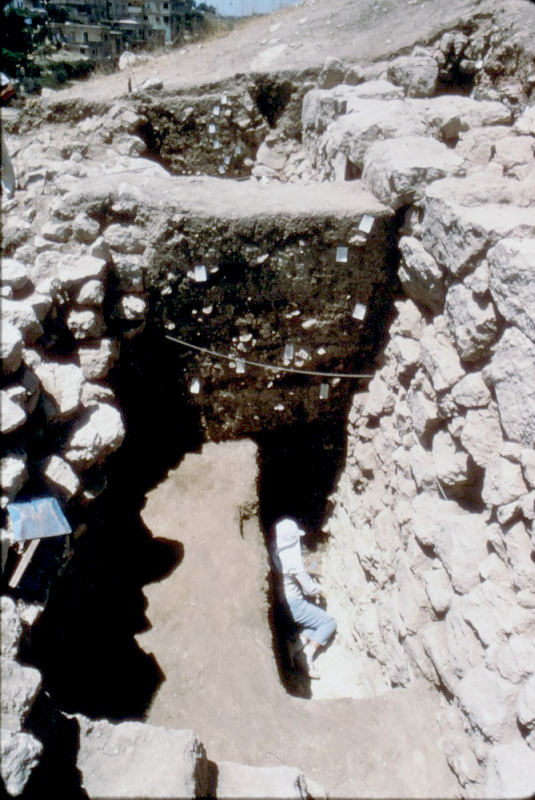 In this time period the site has more similarities with sites to the north along the Jordan Valley such as Tall Abu al-Kharaz, Tall Deir Allah, and Jericho, than with sites to the south such as Tall al-Umayri, Sahab, Madaba, etc. The point of the sentence quoted was to show that 71% of MB diagnostic sherds recovered from Safut are fine ware (as opposed to storage jars, cooking pots, etc…). Unfortunately, no architectural remains from this period have been found (although the acropolis perimeter wall might date to this time), but the quality of the pottery hints at what kind of remains are waiting to be found. 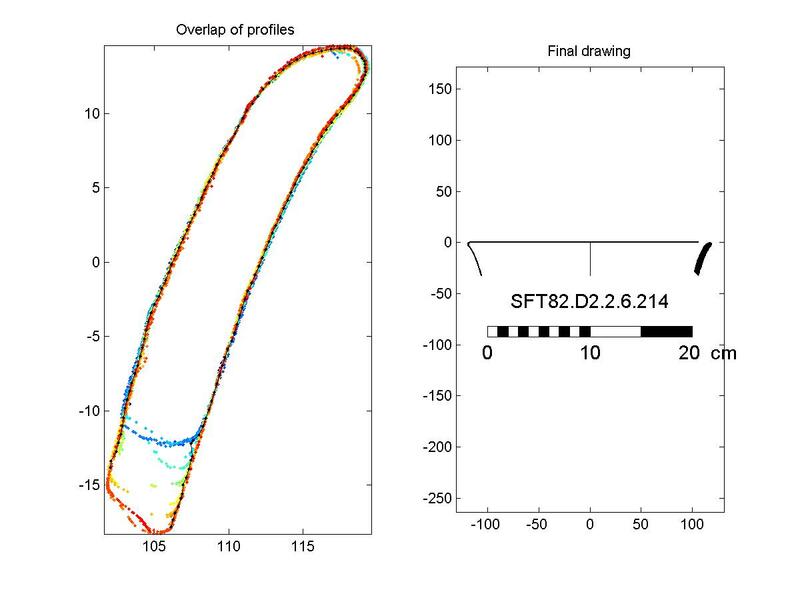 This picture shows the end result of the 3D scanning process, the sherd profile drawing. On the left is a visual representation of all the profiles throughout the sherd, with the bluish colored dots at the bottom representing places where the sherd was broken. On the left is the final drawing with sherd properly stanced and radius calculated. This sherd dates to the end of the Middle Bronze Age, around 1450 BCE. 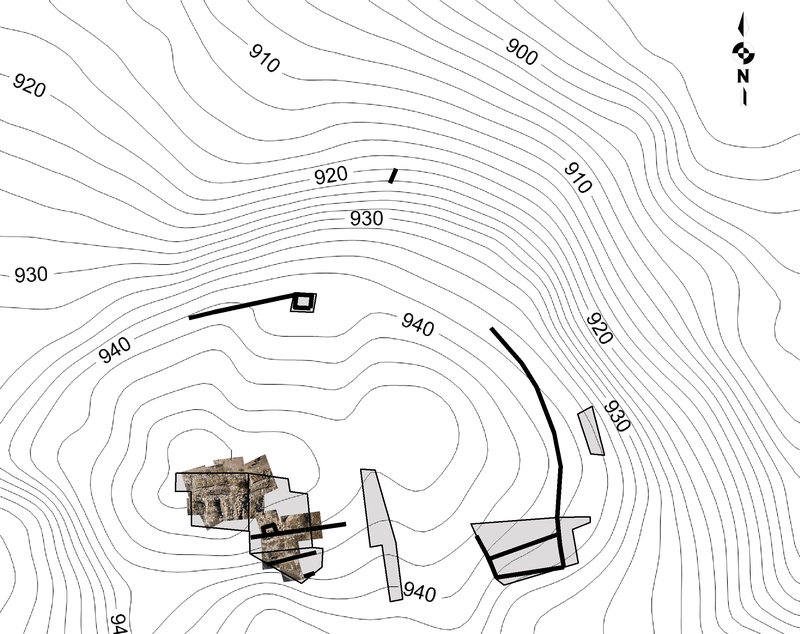 It was found in Area D, which was a section cut into the side of the tell next to the road, in order to determine whether an artificial glacis (or rampart) existed (more on this in the coming months, since this is the main topic of my ASOR conference paper). Unfortunately Area D, along with half of Area A, is no longer with us, cut away by bulldozers expanding the main N-S highway from Amman to Jerash. This illustration shows another benefit of basing the final drawing on a 3D scan, the ability to depict the sherd in three dimensions (seems obvious). The gui interface was programmed to display side and top 3D views of the sherd, adding a nice touch to the traditional sherd profile drawing. This bowl dates to the end of the Iron Age (the 6th century BCE) and was found in Area A. It was excavated from a room directly inside the city wall, which was expanded at the end of the Iron IIB.